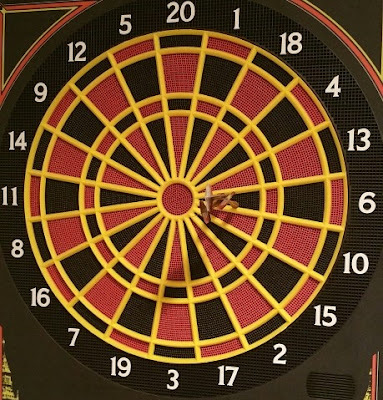 What is Accuracy? Can we trust manufacturer's specifications? Accuracy is influenced by both precision and bias in the measurement process. To understand accuracy, one must understand bias, systematic measurement error, random measurement error, measurement error, and precision. Manufacturer's accuracy specifications may be misleading as they may not tell you how the measurement and test equipment actually performs during calibration and use. We have observed numerous instruments that do not meet the stated accuracy specifications. If we only threw one dart and it hit the target, this may be a single measurement bliss scenario. However, multiple darts reveal random measurement error to be large (each additional throw was about 160 mm off target in opposite directions). Did the manufacturer use repeated measurements, or the first measurement when they wrote the specification? If they used the mean of -160 mm, 0 mm and + 160 mm, the average would be zero. When we plot the precision of the person throwing darts graphically, we can see the average would lie on our target value. The standard deviation of these throws combined with the bias (mean of the repeated throws) will give us the true accuracy. Precise throw with some bias. 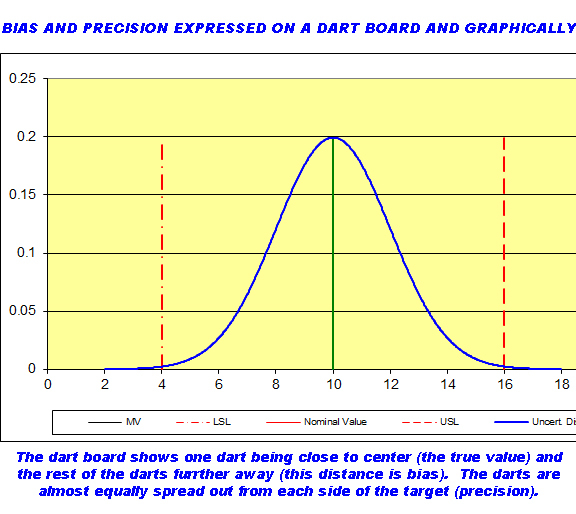 If we throw three darts and miss the target by +50-60 mm, and the darts are about 10-15 mm apart, we can say the precision is around 2.5 mm (standard deviation of 10, 12.5, 15 mm). 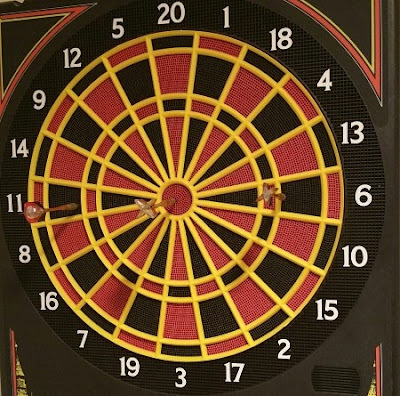 If the shooter can adjust their aim 60 mm to the left, with the same throwing precision, they will hit the target with all three darts. In the graph above the accuracy can be stated by the lower, and upper tolerances. All measurements made fall into the tolerance specifications. The manufacturer's accuracy specification would be credible. In this scenario, it may be very easy to make adjustments, which will lower the measurement error. What is Systematic Measurement Error? What is Random Measurement Error? Precision is a measure of spread. Measurement precision is used to define measurement repeatability, intermediate measurement precision, and measurement reproducibility. Regardless of the manufacturer's specification sheet, it is important to have your equipment calibrated the way it is being used. Best practice is to put in place a measurement assurance system (practices put in place to monitor a testing or calibration process and to ensure the calibration status of equipment, reference standards or reference materials used in the measurement process), and have your equipment calibrated at the proper intervals.